As a parents, we know that when our children grew up, their tastes and likes are change. My son, he loves Naruto, and Japanese Manga character. Now, I don’t know why did he falling in love with dinosaurs. Give them their favorite things on their room is a great idea. 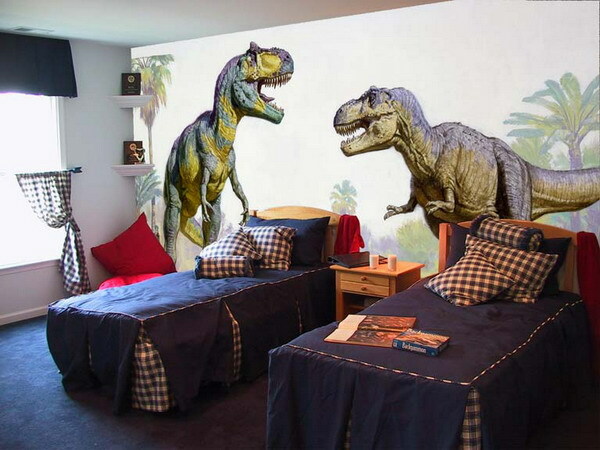 So, I decide to decorate his room like a Jurassic era. ROAR everywhere. 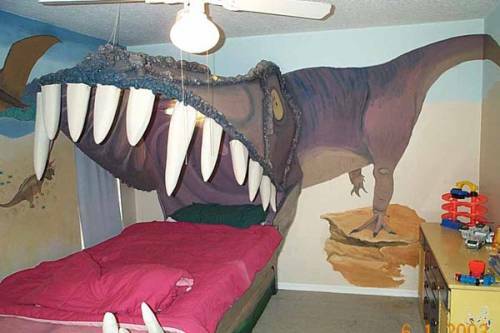 Here, I will give you some tips to decorate your child’s room inexpensively. First things, decorate the wall. 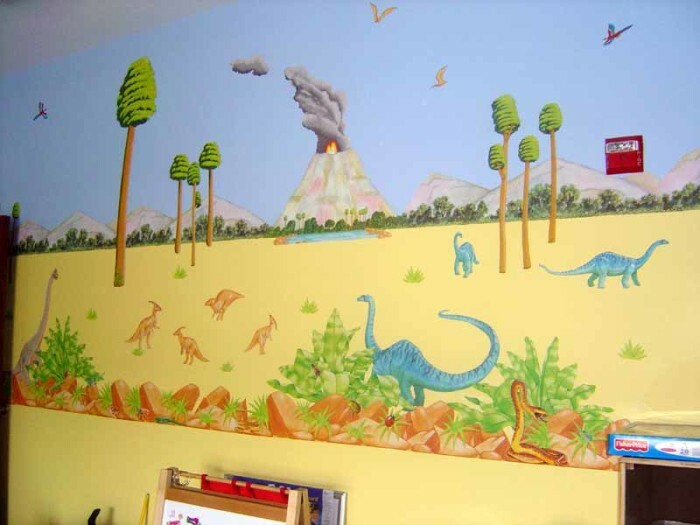 The first thing you should consider is applying neutral color into your kids room. So, you can use it with several different designs. Tans are my very best favorite color. 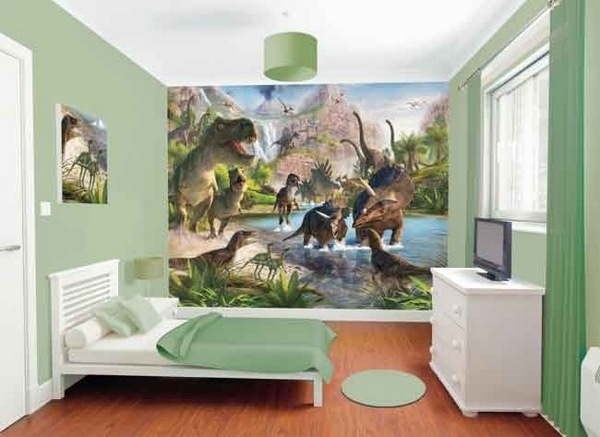 It works best with some variety of Dinosaurs Theme. Blue and Green are best too! 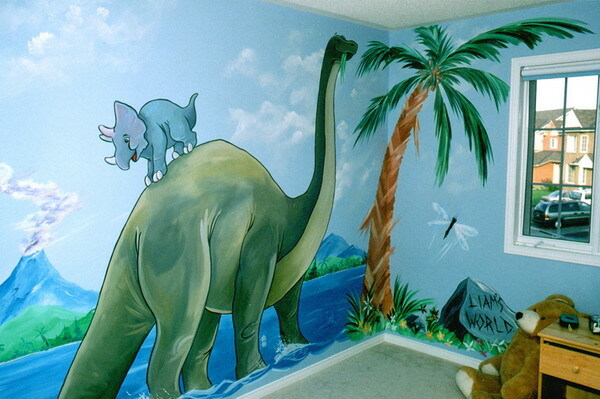 Light Green paint is perfect for Dinosaur decor room, best, you can use this neutral color with another theme, as your child grows! For wall decoration, it’s best if you buy the wall decoration from your local shop. You can see some images below as your reference. You can print these images as your example, or if you can design your own template, just design and print it. 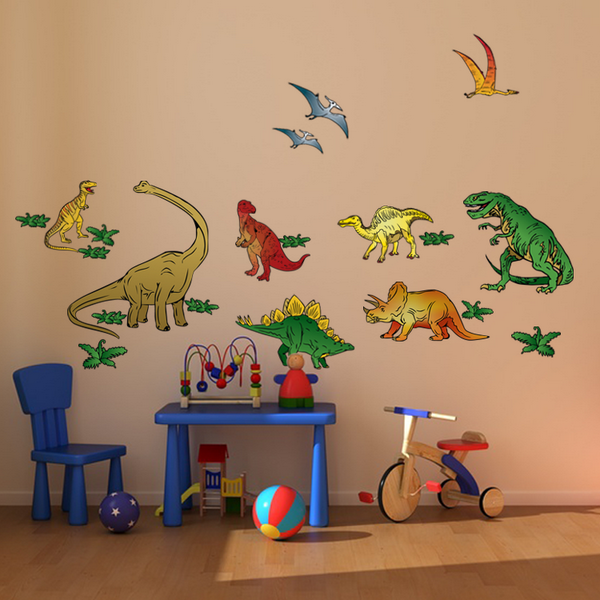 You can also create your own wall decoration by finding free dinosaur wall decoration template and spray with spray adhesive. Now, it’s time for bedding. Just like choosing wall decoration color, to make it inexpensive, just choose neutral color bedding. 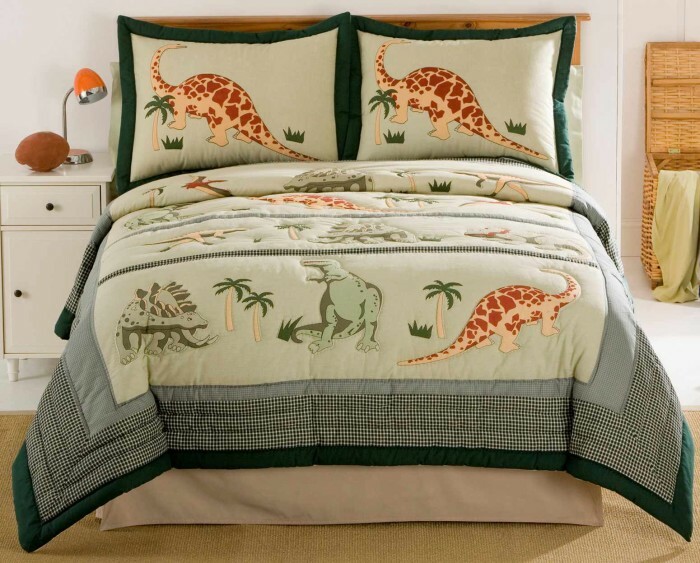 You can browse, search and buy Dinosaur bedding from Amazon or your local store. You can buy one set of bedding or buy retail. Stick to solid color sheets. Makes them match each other.